If you’re searching for some fresh street art to admire, head to Darling Quarter and check out the 2018 works at the Harmony Art Collective Exhibition. The project aims to empower disadvantaged youth through art, giving them a creative outlet and helping them pursue opportunities in the industry. Each year, well-known artists work with community centres around the country to facilitate the exhibition. 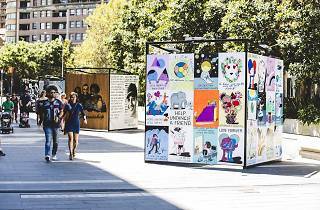 Artists getting on board this year include internationally recognised illustrator Jeremyville, contemporary street artist Fintan Magee, Archibald Prize nominee Luke Cornish, and muralist Georgia Hill. 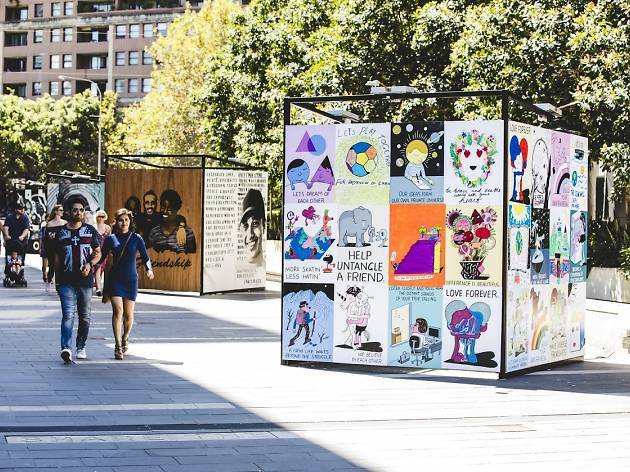 This is the fourth installment of the project, which runs in conjunction with Harmony Day, supporting diversity and equality in the community. It’s open to the public until April 27.